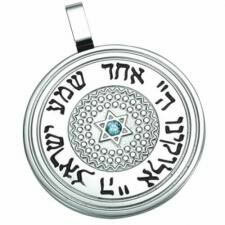 There is a Star of David In The Center With a Beautiful Light Blue Stone. Diameter: 1-1/4in. x Length (Including Bail): 1-5/8in.